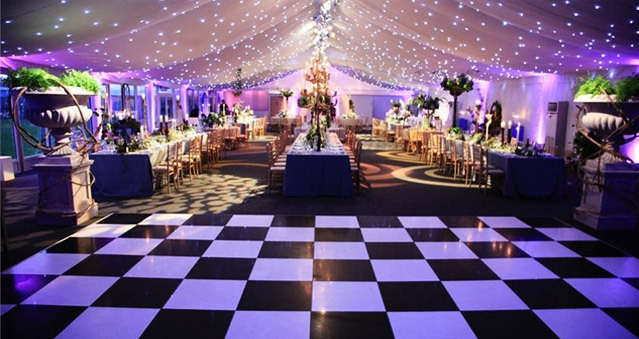 The stunning Luton Hoo Conservatory marquee is situated in the beautifully kept grounds of Luton Hoo Estate’s private Walled Garden and is the perfect setting for any teambuilding event. Finished to the highest specification, Luton Hoo Conservatory has an outside decking terrace, glazed windows to one side overlooking the stunning garden, integrated speech and music sound system, spectacular decorative lighting including pin-spots, starlight ceiling and a dance floor and stage – ideal for The Killing, Around the World, Awakening the Dead, Stocks in the City, Mixology, The Ultimate Team Build to name just a few. Location: Luton Hoo Conservatory and Estate sit conveniently on the border of Harpenden and Luton, with easy access from the M1 and M25.